Dance Classes, Lessons, Events & Courses for Alanya Bellydance. 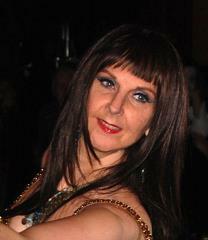 Bellydance tuition and performance with qualified instructor. Private Coaching, Regular Dance Classes, Instructor for Hire, Choreographer, Demonstrations / Cabaret, Performances, Own Choreography, Workshops, Weddings. Dance Styles: Belly Dance. All Entries for Cafe Miro Studio Venue. Car Parking. Belly Instruction at Beginner to Intermediate level. Bring your own drinks. To book or for further details: Info, Tel: 07962 161081. A fun, feminine dance form suitable for all ages and body types. No need to expose your tummy! Beginners and dancers alike welcome. Belly Instruction, Practice. Contact organiser for times and further details. All Entries for Monkland Village Hall Venue. Car Parking. Turn right opposite the Monkland Arms on the A44. Past the Cheese Shop, hall is the first building on the left, about 100yards past Cheese Shop. All Entries for St Katherine's Hall Venue. Car Parking. All Entries for Studiocrafts Venue. We are just off the main crossroads (top cross), just a few paces up from the traffic lights and high street, just before the Royal Oak Hotel. On street parking and town car parks are just a short walk away. Belly Instruction. Bring your own drinks. To book or for further details: Info, Tel: 07962 161081. Fun, feminine dance form suitable for all ages (14+), body types and fitness levels. Tutor Alanya holds a JWAAD Diploma in Teaching Arabic Dance.